consumption, part or all of the consumption is covered by the solar system. The system includes power meter that measures the energy produced. 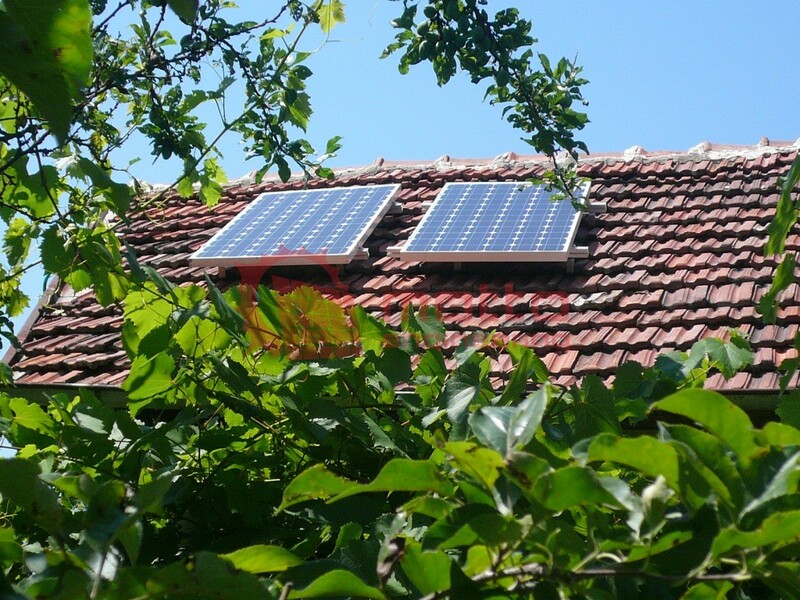 - A solar micro-system consists of one or two solar panels, micro-inverter, which converts the DC voltage of the panels to AC (230 V), electronic power meter and electric plug for connecting to your home wiring. - The micro-system is provided ready for connection to the socket. - The advantage of this micro system that does not require batteries, but keep in mind that it cannot be used if there is no power supply to the house. - Production of electricity from sunlight without consumables or maintenance need. - Annual production of electricity around 290 kWh from 1 panel and 580 kWh from 2 panels. - Suitable for all residential buildings and additions that have connection to the public grid. - 1 pc. Microinverters Enecsys SMI-D480W - 60 - Input power 480Wp, maximum output power of 450W.